The COLORband T3 BT is a compact LED strip-light with three zones of RGB control that you can operate over Bluetooth. Utilizing 12 powerful LEDs across three zones of control, the COLORband T3 BT offers a range of lighting options suitable for any setting. Connect a smartphone or tablet to the COLORband using Bluetooth and control the unit wirelessly from anywhere within 150ft. You can adjust lighting effects mid-set to completely change the wash colors, all without needing to fight through a crowd to get to your rig. Bluetooth capability is a welcome addition to the COLORband series. With an IRC-6 remote, you can access automated programs that are built into the COLORband T3 itself. Compact dimensions allow the T3 BT to be easily transported from venue to venue. It's designed to fit conveniently into the CHS-60 VIP Gear Bag, and at just 6.6 lbs the COLORband is sure to be one of the lightest strip-lights you own. The sleek black casing disappears on the stage until the moment the lights come on. The COLORband T3 has no moving parts, and features silent LED technology. Chauvet DJ has put everything in place to make the COLORband T3 BT the most straightforward piece of lighting equipment you've ever used. There is minimal cabling required, and you don't need any additional hardware to make use of the wireless Bluetooth capabilities. With all of that considered, the T3 will make for the easiest lighting show of your life. Built-in presets such as chase, wall-wash, and strobe make using the COLORband T3 BT as simple as possible. The COLORband T3 BT houses 12 tri-color LEDs, each with 2.5 W of power. 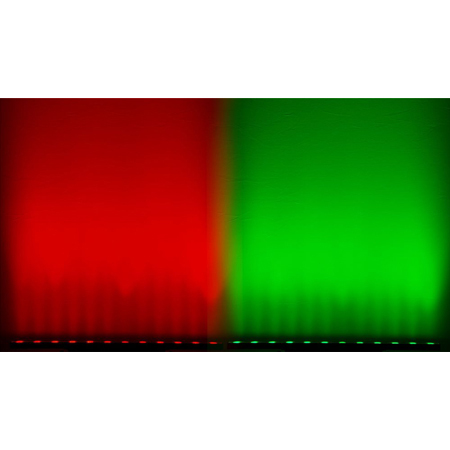 They project red, green, and blue light with minimal bleed across colors and a broad coverage angle of 70°. Split across three zones of control, you can combine the colors for vibrant lighting effects. The COLORband is a versatile lighting rig that is suitable for any number of settings – enhance your light show even further by making use of built-in dynamic effects and a strobe rate of up to 25 Hz. 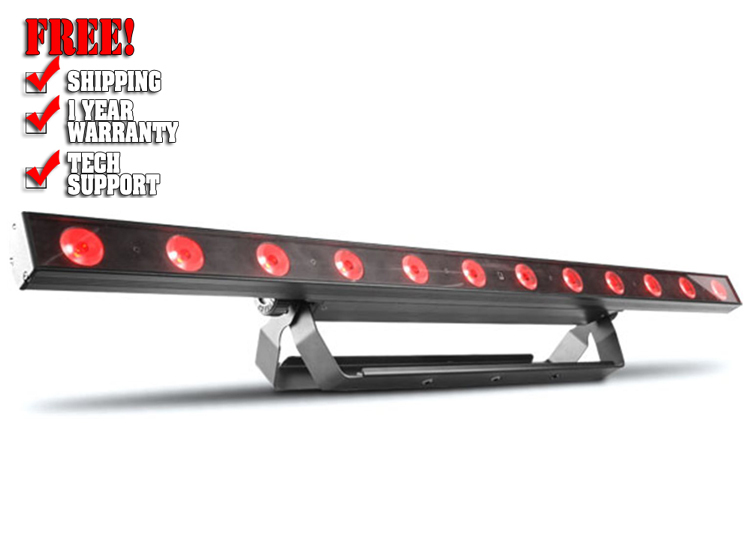 Chauvet DJ has created a truly impressive piece of hardware with the COLORband T3 BT. It is lightweight, compact, and easy to set up while remaining an incredibly versatile piece of equipment. The 12 LEDs offer a range of colors that can be controlled across three zones for various dynamic effects. Included with the T3 are multiple preset programs that make it easy to find the perfect setting for whatever show you're putting on. And with Bluetooth connectivity, you can conveniently control the unit from anywhere in the venue! Forget about carrying massive rigs around and tripping over numerous cables, get yourself a convenient lighting solution today with the COLORband T3 BT.